Whilst setting up this site we’d decided that we didn’t want to be food bloggers. Of course, what we really meant was that we didn’t want to be critics. The aim wasn’t for us to go around restaurants and spend more time taking notes than eating and enjoying each other’s company. 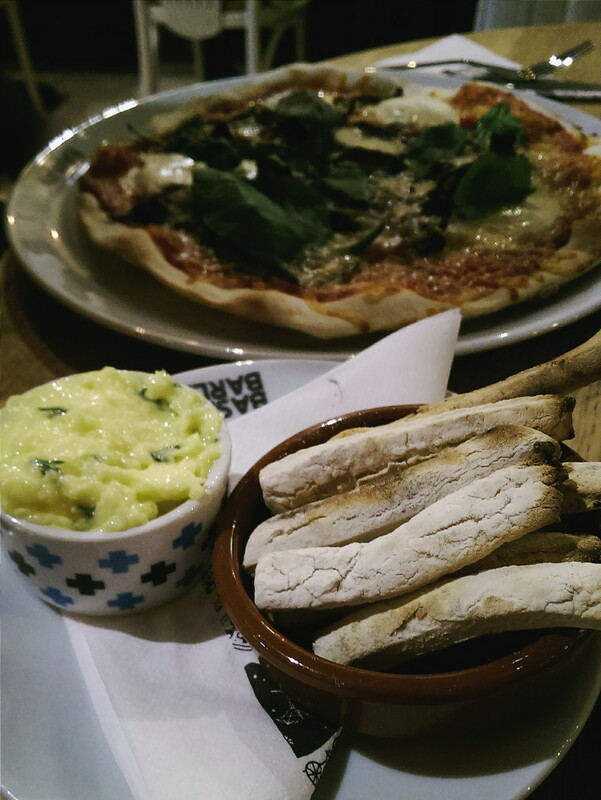 So, of course, it’s totally fitting to kick off the blog with a restaurant review. When we saw the tweet that there was a new sourdough pizza and craft beer place opening in town, and that they wanted people to come in and try their food (for free! ), we jumped at the chance to be on the list. This is not a sponsored post, but we only had to pay for a small part of our meal. 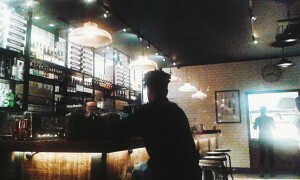 Previously Queen Street’s Artigiano, Base + Barley is a super relaxed place to grab a pizza and a few drinks. Apparently it’s changed a hell of a lot since it was Artigiano, but they have kept the really cool barrel wall. 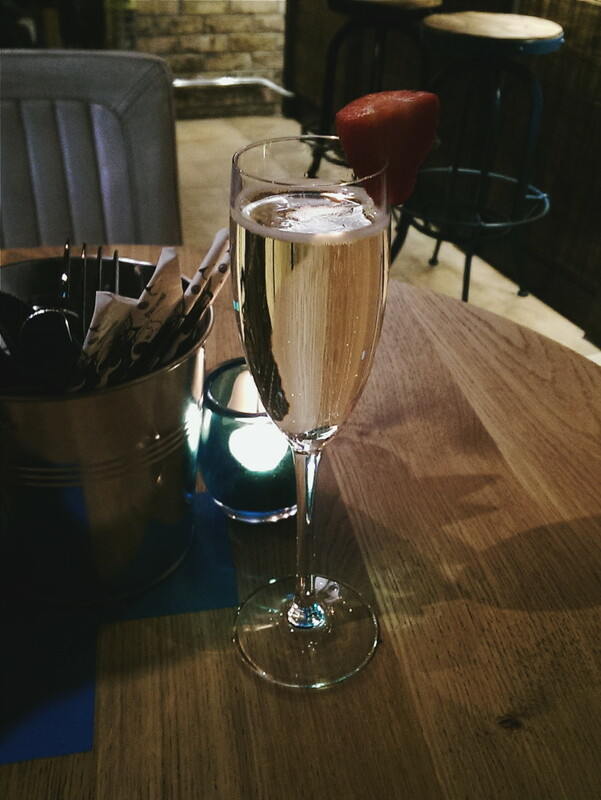 We started our night with a strawberry topped glass of Prosecco. 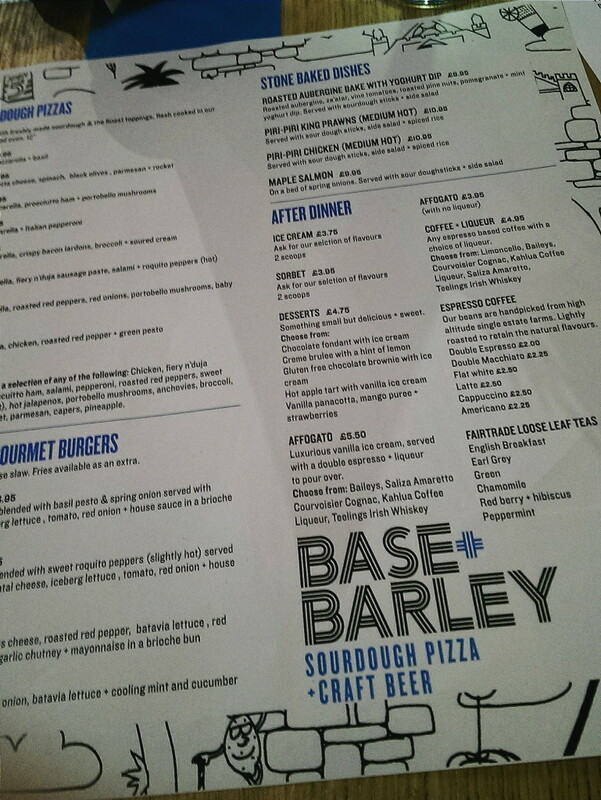 I always judge a menu by its number of vegetarian options and Base + Barley holds up pretty well. There isn’t an abundance of meat free meals, but there’s at least one option in each of their menu sections. The one downside is that the veggie-friendly dishes aren’t marked with the customary (v), so you can’t just jump to them to check out your options. We both went for meat free pizza. Thierry had No. 7 with mozzarella, roasted peppers, red onion, portobello mushrooms spinach and basil. I went for No. 2, which comes with ricotta, spinach, black olives and Parmesan, but I swapped out the Parmesan for broccoli to make it vegetarian*. This did mean it was missing some cheesy goodness, but that was on me. There’s a build your own pizza option so it’s easy to swap and customise depending on your diet or tastes. Both of us really enjoyed the fresh, crispy pizza and the doughsticks we shared, which came with a generous portion of melty garlic butter. 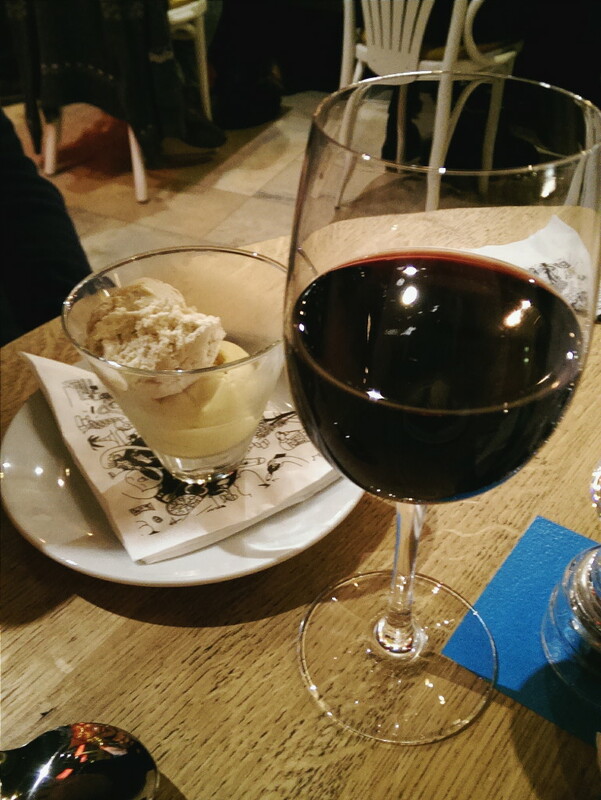 Our second round of drinks consisted of Thierry’s glass of Merlot and my Bramble, accompanied by dessert. 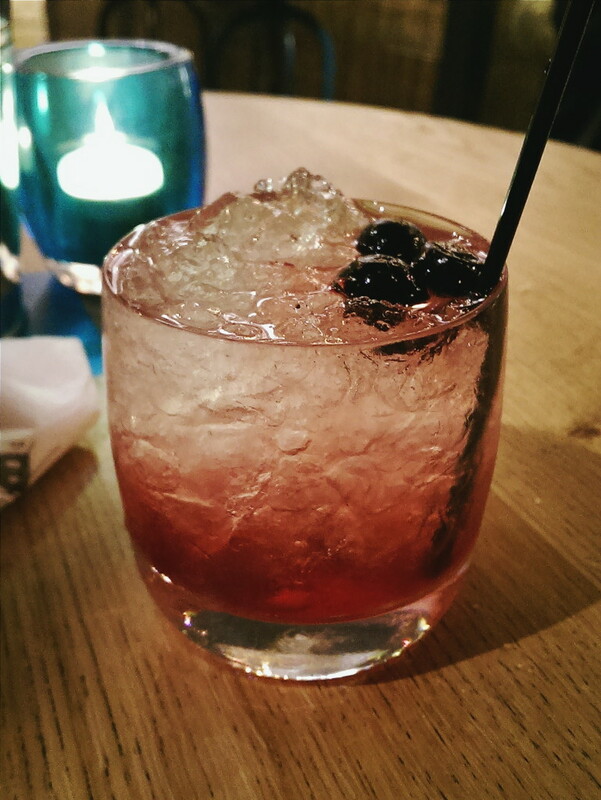 The bramble was beautifully presented (I’d ordered it mostly based on how lovely it looked when a girl at the bar had one) and had a great balance of gin, lemon and blackberry. Thierry chose scoops of peanut butter and clotted cream ice cream for dessert, which were both very smooth and velvety. 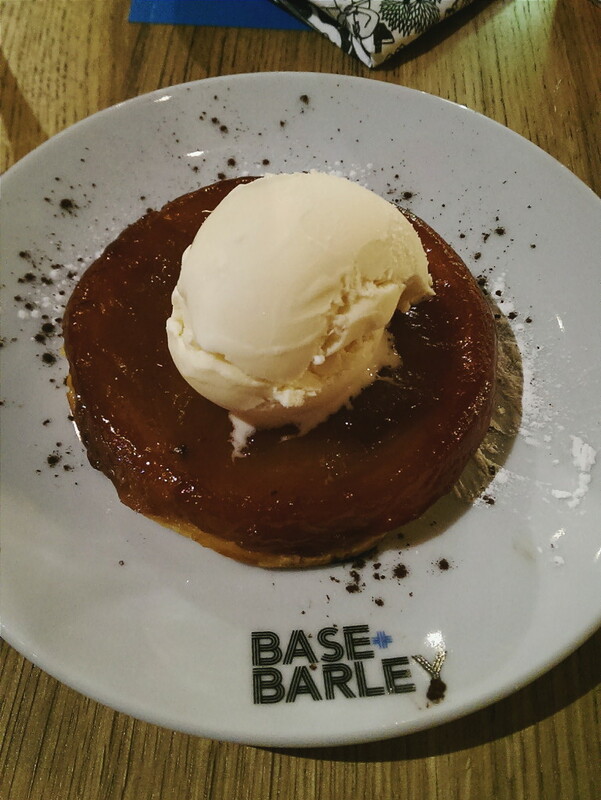 My little hot apple tart was also topped with a scoop of ice cream and made for a tasty end to the meal. 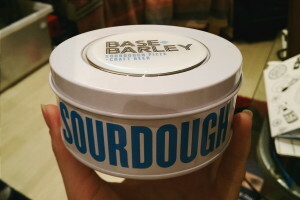 The meal on its own was a great treat, but as even more of a bonus we got some goodie bags with some vouchers and, best of all, a sleek branded tin of sourdough starter. I’d been meaning to make some for a while now so it was a super exciting surprise. I popped open the lid to take a peek and it smells absolutely amazing. We’ll make sure to keep you updated with what we create with it. 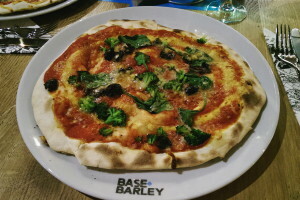 Even though it was just the first day for Base + Barley, from the outside everything seemed to be running very smoothly, and it was a really relaxed environment to be in. All of the staff we met were lovely and eager to make sure we were having a great evening. We’ll definitely be back soon and we are really looking forward to making some sourdough! *Unfortunately Parmesan can never be vegetarian. For it to be called Parmesan it has to be made with calf rennet.